Olo offers daily yoga classes that suit your personal needs. Our in house yoga instructor will guide you through a healing vinyasa flow, aimed to lengthen and strengthen your body and breath. Yoga pairs perfectly with surfing; with a consistent practice you'll notice your focus and balance improve on your mat and on your board. There's nothing better than concluding a long day of surfing with a deep sunset yoga flow overlooking an epic ocean view. Pay per class (150 DH) or sign up with our Yoga and Surf Package! Olo Surf & Nature is an ideal retreat setting with epic views, amazing surf, authentic cuisine, a community vibe, and adventure excursions galore! To curate your dream retreat in Morocco, please contact our Yoga and Retreat Manager, Leia Vita Marasovich. 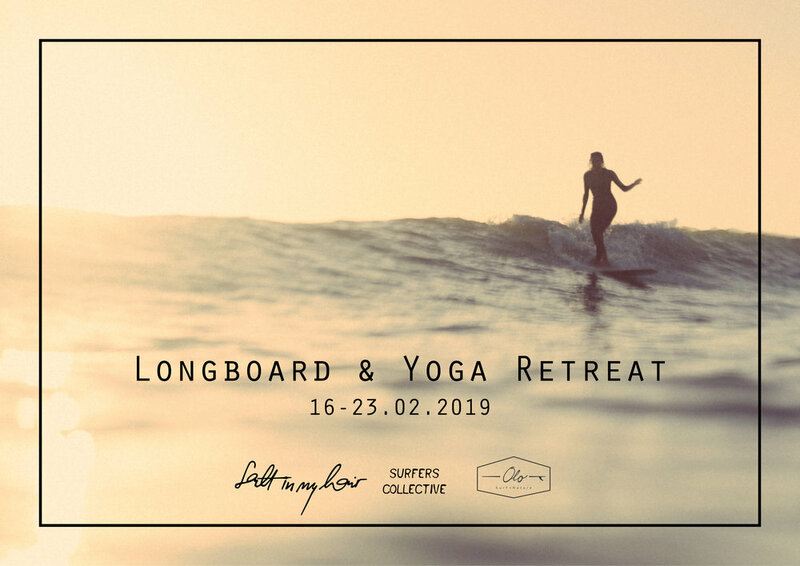 A journey of self awakening and creative illumination with surfer Lex Weinstein, yogi Leia Marasovich, and musician Amber Riya.